Bali Beach is a beach in Bali stretches around the island of Bali. Bali beach there are many kinds and variations. Travelers can choose the preferred beach. Depending on the wishes. Because, Bali beaches are very beautiful and attractive. Bali Beach also has many types of sand. The white sand, brown sand, black sand. Everything has its own charm. Conditions paris Bali coast, depending on the type of marine life in the sea of Bali. If there are many Balinese sea marine life such as coral reefs, the sand on the beach of Bali is white. If no Bali sea marine life, it just rocks, the sand on the beach of Bali will be black. 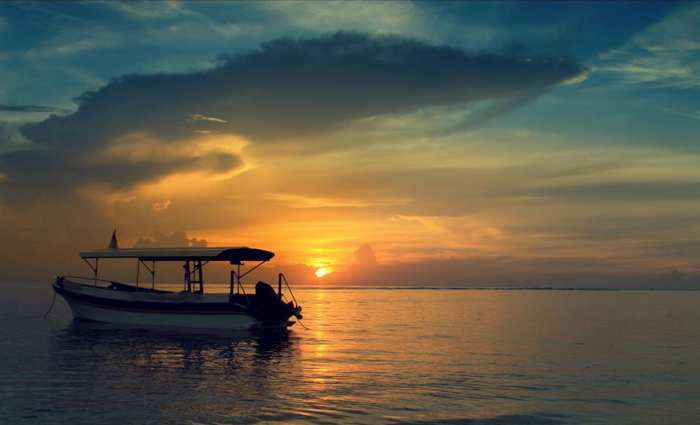 And if the beach is the estuary of the many rivers, beaches of Bali will be colored brown. Bali with white sand beaches, mostly in the south of Bali. Because in the ocean south of Bali, there are many coral reefs. And a favorite area for divers who want to enjoy the underwater beauty. Coral reefs are dying, changed color to white, because the rent constituent is lime, and washed up onto the beach. Because eroded by the waves hit, the coral was destroyed and dumped into sand. That is why the beaches of Bali, in the south of Bali. Unlike the coast of Bali, which is the region west of Bali. West Bali there are many rivers. 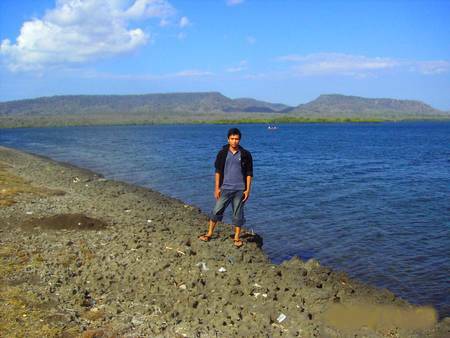 Rivers that very much, because in the West Bali there are many mountains. Mountain with very high rainfall. Each season rains, the rivers of West Bali will be flooded, full of water mixed with mud. 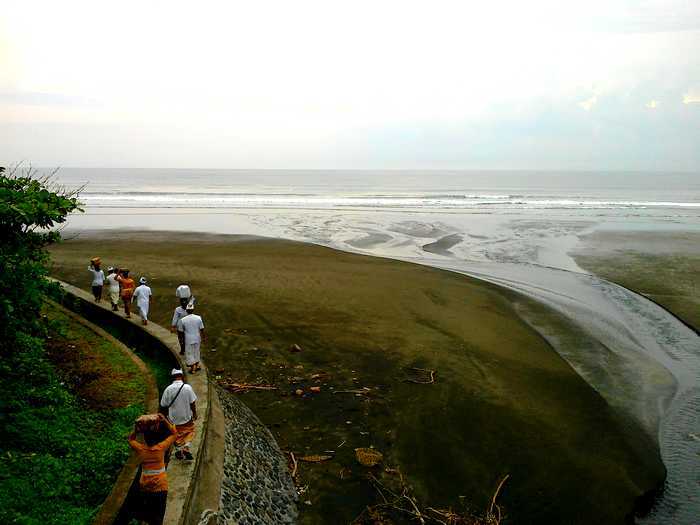 Water river empties into the sea of Bali, the mud would be stranded to west coast of Bali. That is why the beaches of Bali, West Bali, brownish-colored sand. Bali Beach in the north of Bali, as the rocky shores. Rocks in the northern coastal region, from the eruption of Mount Agung, which often erupted last year. Very few beaches developed into tourism. In addition to the beach with rocks, the air temperature conditions in very hot northern coast of Bali. So it is not suitable for use as a place to sunbathe and swim. Because the skin will burn. Bali beach also has waves that varied. Starting from a very calm waves, so the waves were very big and tall. So tourists who come to Bali, you can choose according to his favorite beach. Many tourists who enjoyed surfing, went to the beach in Bali which has a large and high waves. The majority of waves suitable for use as a place to surf in the area south of Bali. Big waves and high in the south of Bali, because the sea is part of the Indian Ocean. Vast ocean. Thus, the pounding winds coming from the Indian Ocean, creating huge waves and high in southern Bali. So the beaches of Bali, which is in southern Bali, is suitable for surfing spots. In addition to the fine sand, beaches in Bali also has many very beautiful cliffs. The cliffs on the beach in Bali, mostly in the south of Bali. Many hotels and villas in the region. That offers the beauty of the sea can be enjoyed from the hotel which is established on the edge of the cliff. From the cliffs, tourists can also enjoy the sunset. Many temples built on the coast of Bali. Pretending is built intended for island protected from all kinds of natural disasters. Uluwatu Temple, Tanah Lot Temple, Rambut Siwi Temple, and many other temples on the coast of Bali. The Balinese are always praying in temple in Bali beach, to the island of Bali protected from Tsunami and other natural disasters. However, the condition of the beautiful beaches in Bali, threatened by erosion. 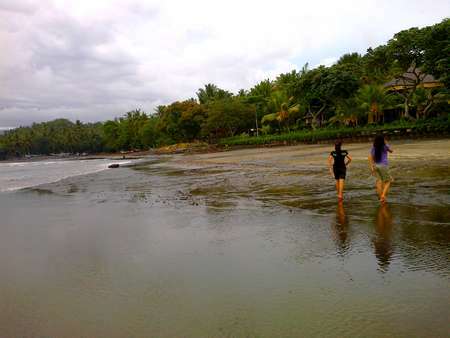 In the area of West Bali, many beaches are losing sand, continue to occur due to abrasion. These conditions threaten the lives of people who live in coastal areas. They fear losing homes due oleg abrasion. In addition to erosion, the beaches of Bali is also danger of being lost. According to news reports and the often heard, that the higher the sea each year, due to global warming. This condition is clearly visible on Kuta beach. 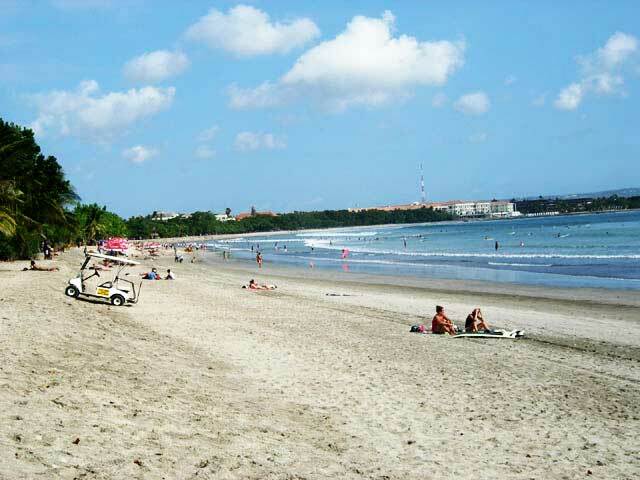 Previously, Kuta beach has a very long coastline and vast, also in all coastal areas in Bali. Currently, seawater was very close to the mainland. So the worries continue. Hopefully the bad things do not happen on this Earth. So we, and our children, can trus enjoy the beautiful beaches of Bali. @Tourareas: Thank you for visiting, hopefully this article useful for you.